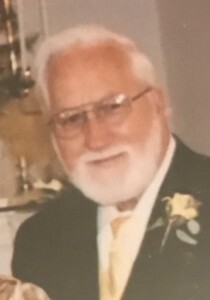 Barnwell – Bobby Gatlin, 79, passed away Sunday, November 11, 2018, at his home surrounded by family. Funeral Services will be held at 11 am Wednesday, November 14, 2018 at Dyches Funeral Home Chapel, Barnwell, SC with Rev. Kenneth Dodson officiating. Visitation will be Tuesday from 5-7 pm at Dyches Funeral Home Barnwell, SC. Burial will follow at Barnwell County Memory Gardens Cemetery. Bobby was born January 24, 1939 to the late Jahue and Ila Gatlin in Berkley County. He was a member of New Harvest Outreach Ministries. He retired from Milliken after 42 years of service. He loved hunting and fishing. He will be missed by many. Bobby is survived by one daughter, Charlene Still of Hilda, one son, Robert (Julie) Gatlin of Hilda and son-in-law Richard McConnell of Barnwell. One Brother, Billy (Cheryl) Gatlin of Barnwell. Three grandchildren, Josh McDonald, Amy Gatlin and Wesley (Jessica) Gatlin and four great grandchildren and many nieces and nephews. He was predeceased by his wife of 52 years, Millie Jean Gatlin, his daughter Donna McConnell and one infant son. The family extends their sincere thanks to Kindred Hospice and his wonderful caregivers.